As 2019 is gearing up, we as referees should be doing the same. 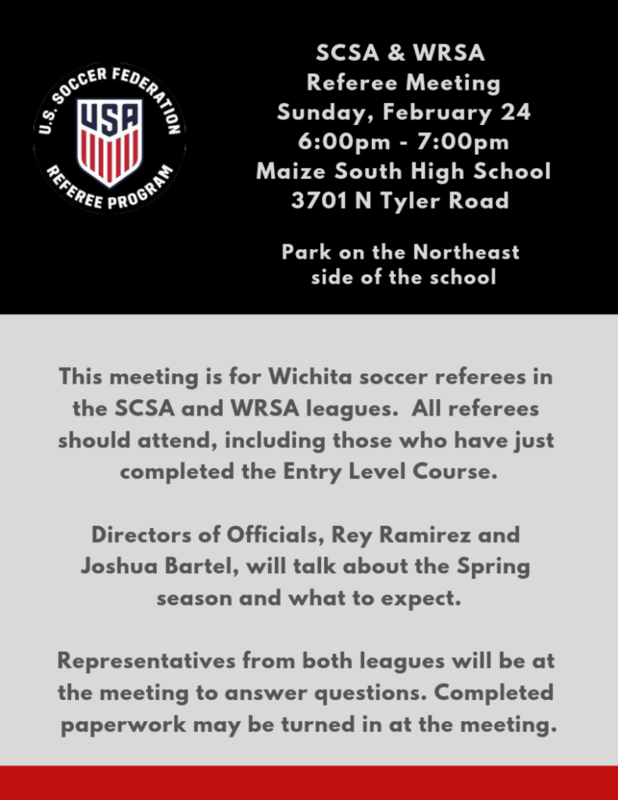 Many have not signed up to referee for the 2019 year and we need you. I know you are busy now but before you know, it will be too late. 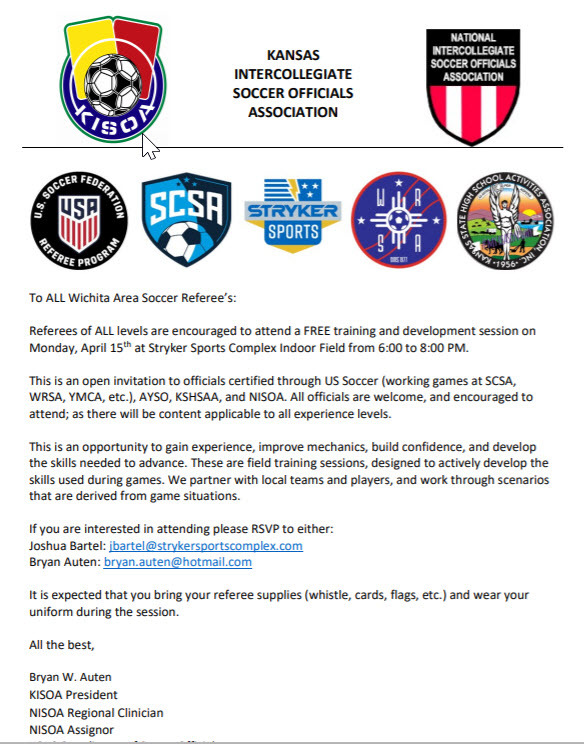 Please consider there are only two classes left in the Wichita area. If you cannot make these dates, you will need to attend a class in another area such as the Overland Park area.